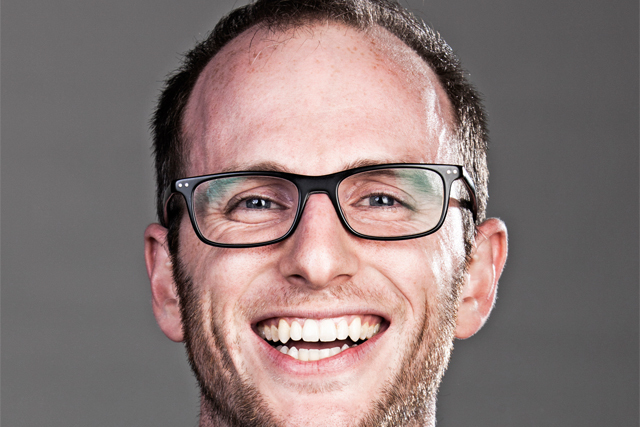 Joe Gebbia, one of the co-founders of accommodation marketplace Airbnb.com, talks to Marketing about how brands can capitalize on the shift to collaborative consumption. Airbnb co-founder Joe Gebbia breaks into a smile when Marketing asks why the website, a marketplace allowing the peer-to-peer sharing of accommodation, has become such an overnight success. With over 340,000 active properties worldwide, Airbnb is certainly one of the poster boys for the much-vaunted "sharing economy" – where consumers share products and services via the conduit of a (usually digital) middleman. It claims to "empower" consumers with a more authentic travelling experience, where they can experience a new destination through the eyes of a local, rather than the "pre-fabricated tourist zones" many holidaymakers end up sticking to. For the first two years we had no growth at all. The numbers would have told you to quit and go work on something else. Since its creation by three San Francisco developers in 2007, the website’s meteoric rise has brought with it unwanted attention, too: last month a New York judge ruled that allowing visitors to rent out rooms on a short-term basis via Airbnb went against the city’s occupancy code. As it grows its presence across international markets, an Airbnb property is now booked every two seconds. But, Gebbia claims, in its infancy the company was "anything but a success", as it struggled to build up both supply and demand sides of the marketplace. "For the first two years we had dismal traction, no growth at all. The numbers would have told you to quit and go work on something else," he says. "It took us a lot of time to build up credibility, that this is a viable way to travel and share your home." The tipping point, says Gebbia, came through "social proof", whereby consumers would see recommendations from friends and connections, and as a result begin to trust the service. "Our biggest challenge was how to build trust between two people who have never met. What has worked is the network effect. People stay with Airbnb as guests and, when they arrive home, look around their home and ask, ‘Why don’t I list my extra space?’"
According to Gebbia, in the new sharing economy, brands become custodians, both enabling and policing the exchange between consumers: "Brands are becoming stewards between two people, where one has and the other wants. That’s what the sharing economy is. The brand is the steward making that connection." Like many digital start-ups, Airbnb has eschewed traditional marketing channels. Gebbia says the company made the deliberate decision to invest any potential marketing funds into improving the product, as a way of driving user recommendations. "We believe is that the product is the marketing. We take any resources we’d use for advertising and we use it on our product. If we can create a delightful experience for our customers, then they cannot help but talk about us," says Gebbia. "We got some advice early on from [Gmail creator] Paul Buchheit and he told us it’s more important to have hundreds of people who love you than thousands of people who kind of like you. We took that to heart and went door-to-door in New York City, meeting customers face to face, talking about the product and their experiences. "We wanted to get to a point where the service was so good that customers couldn’t help but use the word ‘love’ in the same sentence as Airbnb," he adds. We wanted service so good that customers simply couldn’t help but use the word ‘love’ in the same sentence as Airbnb. While Airbnb may avoid advertising, it has certainly discovered the value of CSR. Gebbia describes a ‘eureka’ moment after the onset of Hurricane Sandy, which displaced thousands living on America’s eastern seaboard, when the brand realised it could help those affected. "Tens of thousands of people became homeless overnight, so the Airbnb community of hosts banded together to volunteer their homes for free to those who were displaced. We flicked a switched and we moved faster than the government: within hours we had close to 1,400 rooms available for free in a city where there were none. "What happened was the brand moved into the humanitarian space, and, once we got there, we realised how delightful it was. Now we’ve built the system so we can flick the switch in any country, at any time, if there is a disaster." Airbnb’s community of hosts, claims Gebbia, is its unique brand "superpower" – as Nike can claim with "material technology", Apple with "engineering prowess". If it can keep growing that community, and evade the claws of the law, he may still be smiling in a few years to come.